Spread over an area of 25 acres, The Royal College (residential school in dehradun india) has magnificent, spacious, famous, well lit and ventilated buildings, surrounded by pollution free lush green fields. School follows well defined CBSE curriculum. Special attention is paid to monitor the progress registered by every child. Emphasis is laid on activity based learning so that every child could be induced to discover the inner potential as much as possible . School provides all modern facilities, nutritious meals, excellent academics, perfect English environment with strict discipline. Beside discipline we treat every child with honesty and exceptional care. 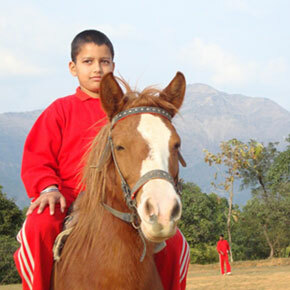 Royal College is one of the Best and economical Boarding School in Dehradun. The School aims at producing men and women of sound ,redoubtable character and upright conduct who seek success in life by Striving for Excellence and are conscientious and capable of acting as leaders in their field of activity. All the students who pass through our hands, have to be good human beings. They have healthy respect for their teachers and elders and are able to stand out in the crowd for their outstanding qualities as an exemplary citizen who would contribute to the National Integrity and Prosperity. Copy of birth certificate from Municipality. Original Transfer certificate from the school last attended. Medical fitness certificate from Govt. Hospital. Attested copy of mark sheet of previous school. Passport size photographs of each parent and local guardian. Imprest: This is in addition to the above fee. a). Advance against expenses,viz. uniforms, books / stationery / art & craft material / fine art material / school publications, performing arts / photography and other clubs/ other hobbies, school photographs / DVDs /CDs. Extra coaching, special learning classes, Newspaper, Horse riding, Swimming, Medical Aid, Model United Nations (MUN), IAYP, SUPW, counseling, workshops / seminars, book fairs, extra / out of school sports, mid-term / other outings / picnics, postage /telephone, Xeroxing, Information Technology (IT), school functions, birthday, farewell / House parties, mattresses, bed covers, toiletries, dry-cleaning, extra diet, pocket money / tucks, Late Fee, escorted homeward / school ward journey etc., is adjusted against Imprest Deposit. Academic or other activities outside the regular curriculum and any other expenses not mentioned above are also adjusted. b). Classes held during the winter holidays for Board Examiners are compulsory and will be charged extra, even if a child is unable to attend. Board Examination Expenses will be charged extra. No fee is refundable in any case. The above mentioned fee includes boarding and tuition charges. Contact Address of Royal’ College Dehradun for 2018 Admissions. Management , Principal and staff reside in the campus. Individuality of every child is respected . Well disciplined and regulated life . 24 x7 electricity backup . All boarding houses attached to modern bathrooms . Mode of teaching and communication is strictly English . English oration of each child is developed through stage performances . Inter-House, and Inter School Competitions in various activities. Smart Classrooms with interactive Boards. Separate Labs for Physics, Chemistry and Biology. Regular seminars & workshops for staff & students. Many Students bagged merit certificates from CBSE new delhi for ranking in top 500 at all India level. Many teachers received appreciation certificates from HRD ministry of India. 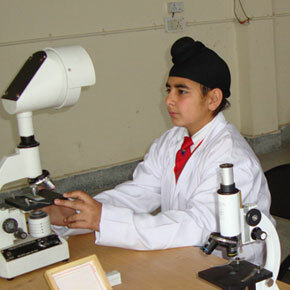 Qualified for state and national level competition organized by Science Olympiads Foundation New Dehli (SOF). Achieved medals in competition organized by University of wales Australia. Students got selected for district sports in RIMC Dehradun. Career counselling is done by experts from JINDAL Law University, Sonipat, Haryana, WADIA Geological Institute Dehradun (Central Govt.) and many other. Students visited Trupati cylinder Ltd. along with experts and got exposure to new scientific technologies. The main objective of the Counseling is to understand every child, share their personal and academic problems and guide them to right direction. Every child is provided personal attention by matrons, house mother, principal and management. Senior students are updated with latest career opportunities time to time. Various training programmes are organized for students and teachers throughout the year. Besides academics, children spend their leisure time in positive and productive activities by enjoying dance, roller skating, tennis, music, riding, trekking, swimming, English theater etc. It is compulsory for each child to play games. Basic rules and skills in sports as soccer, cricket, lawn tennis, volleyball, basketball, karate, track and field events are taught and developed.